Jennifer's new single -- "Sugar"
Jen just announced she's leaving Universal Nashville after 11 years. Wonder what becomes of this single now? Apparently, Mercury (part of UMG) do hold the contractual rights to Sugarland - so, if they resume work as a duo, it presumably would still be on that label. Currently, she and Kristian Bush are pursuing solo work, but have denied suggestions of a professional break-up, saying they would work together again in future. It seems unclear whether Jennifer leaving UMG would, in practice, make that potential reunion more difficult. She released a number of albums before Sugarland, but her first new solo release since becoming widely known was produced by Rick Rubin, a critically highly acclaimed, but individualistic and difficult to categorize producer - and it was regarded as an experimental project, which may not have met the label's expectations on radio. "Sugar", which was produced by Dann Huff, a producer with a "Pop Country" reputation, has a more Mainstream feel, and may have had hopes for appeal to the large fan base that Sugarland built up. It was co-writen by Jennifer, with Brandy Clark and Jessi Jo Dillon (the daughter of Dean Dillon, the "classic Country" songwriter behind many of George Strait's hits). Jennifer and Brandy have toured together and become friends. The Billboard article announcing the label split is said to be an exclusive - but does not enlarge on any reasons for the split, beyond Jennifer's statement, "This change is the first step on a path I've been wanting to take. I am so excited about the next part of my journey and I invite my fans to stay tuned." It's tempting to regard that as a sign that she would prefer to continue with the more experimental, off-Mainstream feel of the previous album - but that is only speculation. rainbow1, pklongbeach and abbeyjones18 like this. Interesting. I miss Sugarland. Neither Jen nor Kristian are doing very well on their solo projects, so I hope they get back together soon. Suellen, rainbow1, terilyn and 1 others like this. I always wish her the best. I do hope she gets back on track with more mainstream sound. If for no other reason than that I would love to hear her at radio more. Even Sugarland started to deviate abit from the main and it cost them momentum. Jen has signed on to play Dolly's mother in NBC's ' A Coat of Many Colors'. Carrieroxmysox2011, abbeyjones18, rainbow1 and 1 others like this. Major Dad and Silver Spoons flashbacks. Old Scott is really hustling trying to fill TS' shoes on the country side. Lol. Gator, nccountrygal, DizzyDollyDee and 2 others like this. NOOOOOOOOOOO. I wanted Sugarland to get back together. Gator, txacar, DizzyDollyDee and 1 others like this. So did I! So much for wishful thinking. Carrieroxmysox2011 and txacar like this. I'm not sure I like her going to BM! I really don't like Scott Borchetta at all and I hope they don't mess too much with her. Carrieroxmysox2011, rainbow1, lizcarlo and 3 others like this. This is a great chance for her to make it as a solo artist. 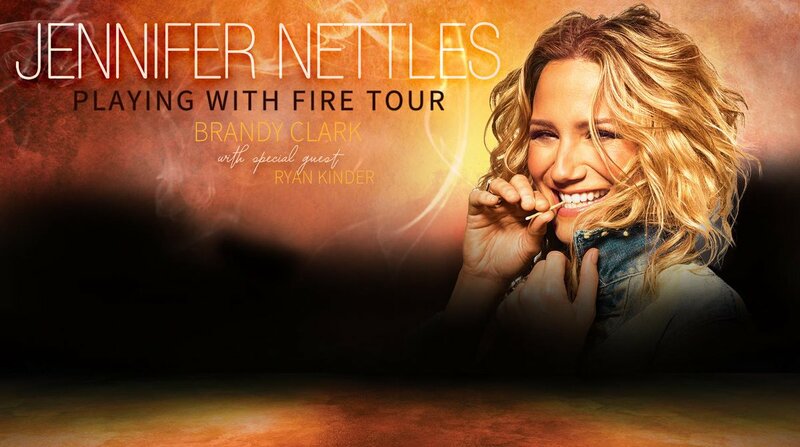 Jennifer Nettles, Carrie duet "9 to 5"
Carrie co-wrote Ashliegh Lisset's single: "Kill the Headlights"
Jennifer Lawrence to star in "Hunger Games"